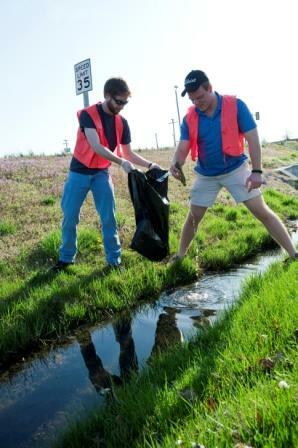 Keep Carbondale Beautiful is a non-profit organization based in Carbondale, IL that focuses on litter control, community beautification, waste reduction, and environmental education programs. If you've ever asked yourself: Where do I recycle in or around Carbondale? How can I clean up my local neighborhood? What can I do to be more environmentally friendly? On this website, you will find information on our programs, ways you can help the local environment, useful links and much more. If you have any comments, questions or suggestions, please contact us. Spring Cleanup & Recycling Day is Saturday, April 13, 9-12, at Turley Park. At this City website http://explorecarbondale.com/report-concern, you can report a concern, or see what issues have been reported and what's being done. You can also get directions to download the SeeClickFix app to your phone. Please help raise awareness about this wonderful addition to a responsive and transparent city hall. Keep Carbondale Beautiful depends on members for funding and governance. Contributions of $10 and up to Keep Carbondale Beautiful make you an official member and eligible to run for the board. ​POBox 1326, Carbondale IL 62903. Do you have a tree like this in your yard? We can help. Contact KCB. Volunteers will be doing community service on April 11 and want to save your tree from death-by-winter-creeper.